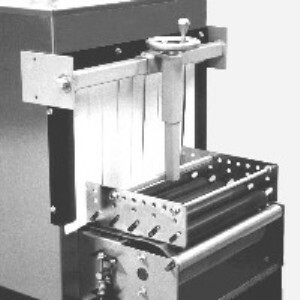 Covered under one or more of the following patents, #7328786, #7350340 & #7380653. 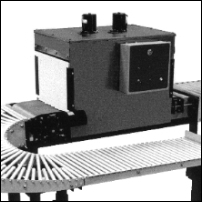 We offer heavy duty & precision roller conveyors, gravity and powered featuring our 180° and 90° SpaceSaver® series, along with select straight sections. This simple fixture is made to fit most tunnels and is used to wrap a package as thin as 24pt post board without warping. 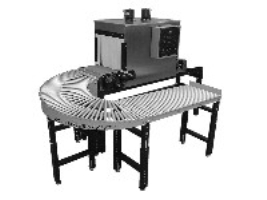 This compact, stainless steel tunnel is designed to be a rugged, long-term, work-horse machine used to shrink wrap heavy products with thick gauge poly.